For first-time senior travellers to Asia, Japan is undoubtedly the number two choice as a safe and easy country to visit. The only reason Japan is rated below Singapore in this respect, is that English is not as widely spoken in Japan. However, this is changing slowly, and there is now a lot more signage in English compared to a few decades ago. In fact for seniors who may have difficulty coping with Singapore’s heat and humidity, Japan may be a better first choice because in spring and autumn, the climate in most parts of Japan is close to perfect. Of course, there is much more to see in Japan than there is in Singapore, so for travellers planning to send more than a week or two away from home, Japan may be a better choice for an extended vacation. Japan used to be a very expensive country to visit, but that’s no longer the case. As recently as 2013 Tokyo was the most expensive city in the world, but by 2018 it wasn’t even in the top 10 (Singapore took over the top spot). Low inflation in Japan has made the country much more affordable to visit, and although it’s not as cheap as many other countries in Asia, a visit to Japan is not going to break the bank. In fact, by using Airbnb for accommodation and eating in railway stations and shopping malls, Japan can be a destination for budget travellers as well. More than a third of the population of Japan is over the age of 60, which is more than double the world average, so Japanese cities are well geared to catering for the needs of older people with elevators in train stations and wheelchair ramps in most public buildings. Japan’s capital city is the largest in the world if all of the 38 million people living in the Tokyo metropolitan area are included. It’s a tourism destination in its own right with a myriad of things to see and do. It’s also one of the safest cities in the world and one of the easiest for seniors to explore and see the sights. For a city as large as Tokyo, it’s hard to recommend particular places to see, because a lot depends on the interests of the travellers themselves, but many seniors head to Ueno Onshi Park, especially during cherry blossom season. Ueno Onshi Park is home to the Tokyo National Museum, the Tokyo Metropolitan Art Museum, the National Museum of Nature and Science, and a Shinto shrine. It has many walking paths, gardens, a lake with boat rentals, restaurants and coffee shops. It is easy to spend a whole day there and not see everything. For shoppers, Tokyo is a shopper’s paradise with many shopping districts and all easily accessible by train. Shinjuku is home to many mid-range department stores whilst Ginza is the well-known location of the more upmarket stores. 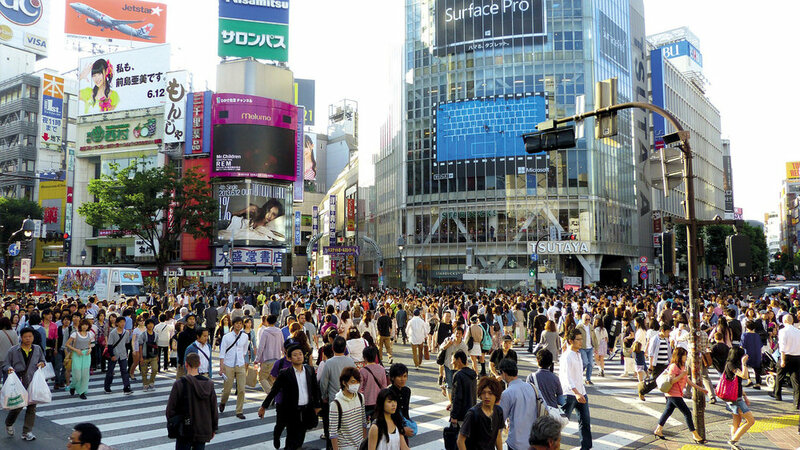 Akihabara and Ikebukuro are where the big electronics stores are located. Many of the shopping districts cater to the fashionable younger crowd, but Sugamo’s Jizo Dori shopping street is one that caters specifically to an older clientele. The historic commercial district of Nihonbashi is another that appeals to seniors. For a really good view of Tokyo, head to the Tokyo Metropolitan Government Building in Shinjuku. Whilst not as panoramic as the views from the Tokyo Tower or Skytree, the observation decks at the city hall complex are free, and the views to the east and southeast include the two towers. To the west, Mt. Fuji provides an iconic backdrop on clear days. The Imperial City of Kyoto was Japan’s capital for more than a thousand years and escaped significant bombing during World War 2. Therefore Kyoto is a must-see for history buffs because it contains more pre-war buildings than any other major Japanese city. It’s also considered the cultural capital of Japan as it has more than 1,500 Buddhist temples, 400 Shinto shrines, and many other important cultural heritage sites, as well as some of the country’s most beautiful Japanese gardens. The Golden Pavilion, known locally as Kinkaku-ji, with its gold-leaf façade on the edge of a reflecting pond is one of the most photographed buildings in Japan. The other most photographed location is the Fushimi Inari shrine complex with it’s thousands of bright red ‘torii’ gates. However, some seniors may have difficulty exploring this complex because of the amount of walking involved. Aside from temples and shrines, Kyoto is also home to one of the most photographed natural attractions in Japan – the Arashiyama bamboo grove. The sound of the wind blowing through the massive stands of bamboo is both fascinating and relaxing to listen to. There are not many mountains in the world that are suited to climbing by seniors, but Mt. Fuji is an exception. That’s not to say that all seniors will be able to climb to the summit (although many do) because parts of the climb are quite steep and strenuous, but the mountain’s well-constructed trails enable even beginners to climb most of the way up. Mt. Fuji has four trails, one on each side of the mountain, which are divided into 10 stations. There are paved roads to the 5th stations, and that’s where most people start their climb. An ascent to the summit and the descent takes two days, so plan to spend a night in one of the mountain huts on the mountain. The climbing season is from July to September. For those who feel they will not be able to make the summit, but would like the experience of climbing above the clouds, starting at the 5th station of the Fujiinomiya trail is the best option, because this is the highest 5th station (at 2,400 metres) and is the only one that does not have a separate ascending and descending trail. Therefore when the hiker feels they have climbed high enough they can simply turnaround and start their descent. Oxygen canisters can be purchased at the 5th station, and it is wise for seniors to carry at least one in case they feel faint. For seniors who feel they are fit enough to make it all the way to the summit, check this detailed climbing guide here for information on all four trails. Many seniors travel to Japan just to see its gardens. The spring months of March and April when the cherry trees are blossoming are, of course, the best time of the year to do that. Autumn is also a good time when the trees take on their red and golden hues and provide spectacular backdrops to the meticulously landscaped traditional Japanese gardens. 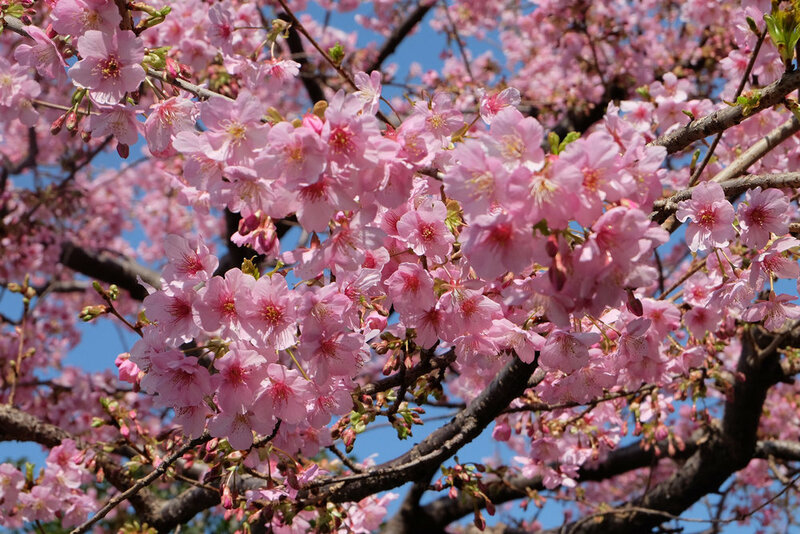 The cherry blossom season – or ‘sakura’ as it is known in Japan – lasts for about a month, usually around the last two weeks of March and the first two weeks of April. Dates vary from year to year. Blooming starts first in the southern part of Japan in March and then moves north over a period of about a month, so that it is often possible to still see some cherry blossoms in May in the northern island of Hokkaido. If travelling before mid-April is not possible, then a second-best option is to visit during the wisteria blooming season which runs from mid-April to mid-May. However, whereas cherry blossoms can be seen in parks all over Japan, wisterias are not so widespread, and only a few gardens have large displays of wisteria. The best gardens in which to see the wisteria in bloom are the Ashikaga Flower Park near Tokyo and the Kawachi Fuji Garden in Kitakyushu in southern Japan. The latter is the location of the large wisteria tunnels often seen in Japanese travel brochures, although the Ashikaga Flower Park does have some smaller tunnels. Spring and autumn are the best months to visit Japan. It generally starts warming up around mid-March when the cherry blossom season starts, and starts getting cooler around mid-September when the Mt Fuji climbing season finishes. Between those months, any time is good to visit Japan, but some seniors may find the peak summer months of July and August too hot and humid to enjoy sightseeing or strolling in parks and gardens. In Tokyo and Kyoto the highest rainfall is in the summer months, with June being the wettest month. It is also quite wet during autumn, so taking account of both rainfall and temperature, March to May will be the best months for most seniors to visit. Hokkaido, the northern island of Japan, is much cooler in summer than the main island of Honshu, whilst Kyushu in the far south of Japan is much warmer than Honshu, enjoying a sub-tropical climate. The Japanese yen is one of the world’s strongest currencies and is the third most traded currency after the US dollar and the euro. However, changing money in Japan is much harder than in other Asian countries. The best rates are available at currency exchange shops, but for a city as large as Tokyo, there actually very few of them. Therefore it is wise to obtain sufficient yen to cover the first 2-3 days’ expenses from an airport exchange booth on arrival in Japan, because it may take that long to find a currency exchange shop offering better rates. The World Currency Shop and Daikokuya are the largest currency exchange chains, each with about 30 shops in Tokyo, and there are two smaller chains with similar names – Sakura Currency Service and Sakura Exchange. 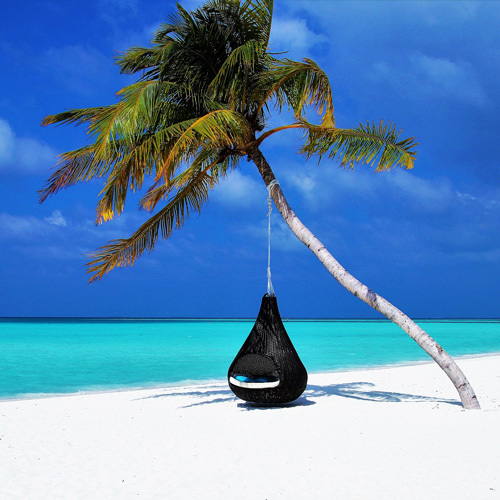 Travellers will need to do an internet search to find the branches closest to them, otherwise the only other option will be to exchange cash at banks or draw money from ATMs. Note that many Japanese ATMs don’t accept foreign cards. The best way to draw cash using an overseas ATM card is to go to an ATM at a 7-Eleven store. Most of those are linked to the Plus (Visa) and Cirrus (Mastercard) global networks. There are also many cash vending machines in Japan into which you can feed US dollars or euros and get yen in return, but the exchange rates offered by those machines are usually worse than bank rates. There are six different Japanese coins from 1 yen to 500 yen in different sizes, weights and metallic colours – two of which have holes in the centre. This makes them very easy to tell apart for seniors with any visual impairment. There are four denominations of notes: 1,000 yen, 2,000 yen, 5,000 yen and 10,000 yen. The colour differences are fairly subtle, so occasionally visually impaired seniors may have difficulty distinguishing between the 1,000 and 10,000 note due to the number of zeros, but it would be very rare for any Japanese person to take advantage of that.